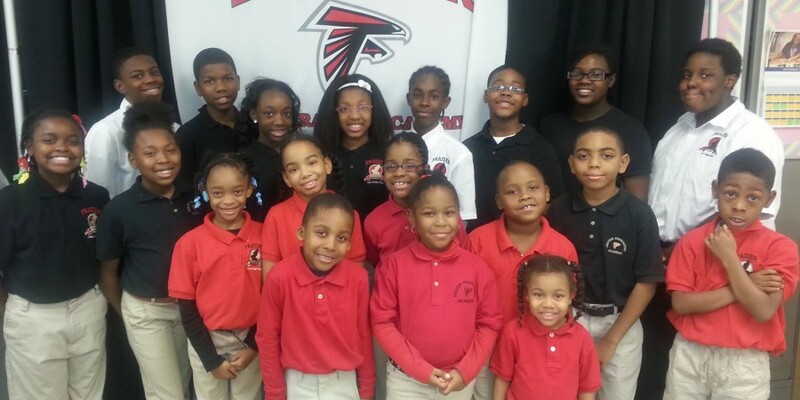 Frazier Preparatory Academy is a Pre-K – 6 contract school in the North Lawndale area of Chicago. The academy is part of Chicago Public School System’s Renaissance 2010 – a school reform effort championed by Mayor Richard Daley and former school Superintendent Arne Duncan. Enrolled to full capacity at 467 students, the academy is working with CPS to expand its programs, and will become a Pre-K – 8 school by 2010. The curriculum at the academy combines effective teaching strategies with scientifically proven academic programs, including Mosaica’s acclaimed Paragon® curriculum. The end result is an environment that inspires life-long learning and affords all students the opportunity to experience cultural richness through the study of the performing and visual arts, as well as a proficiency in the tools they will need to succeed in their career paths. Character education is integral to the school’s educational program. By embracing the Nguzo Saba (Seven Principles in Swahili), students earn awards for reflecting the values for each principle: Nia (purpose), Umoja (unity), Kujichagulia (self determination), Ujima (collective work and responsibility), Ujamaa (cooperative economics), Kuumba (creativity), and Imani (faith). Chief Academic Officer Lakita Little is an exceptional leader who was selected from an impressive pool of principals nationwide to receive Mosaica’s Rising Star award for exemplary leadership in 2008. Raising student achievement is a priority, and in the opening 2007-2008 school year, standardized test scores showed rapid gains. Spring ITBS scores went from 25% up to 39%, math from 12% up to 40%, and the composite score was raised from 23% up to 38% from fall baseline scores. Parents actively support the academy with high levels of participation in volunteer work and fundraising. Regularly scheduled Paragon Night performances fill the school’s gym to standing room only as the students give back to the community by presenting what they have learned over the previous five weeks of instruction. Parent satisfaction is high – parent surveys indicate a 98% overall satisfaction rating. Students have the opportunity to participate in a number of extracurricular activities such as choir and step team. The school’s double dutch team recently competed to take second place city-wide, the boys’ football team made it to the regional playoffs, and the basketball season is underway. We invite you to stop by and experience the energy and excitement in one of Chicago’s premier educational settings.